We reveal which projects triumphed in this year's Planning Awards. By Mark Wilding. 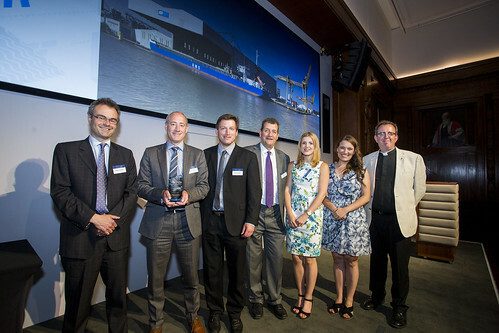 The winners of the Planning Awards were announced at a ceremony at London’s Savoy Place on 21 June. 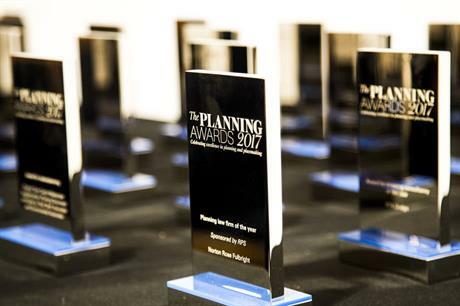 The awards, organised by Planning magazine and PlacemakingResource, span 10 categories in planning and 13 in placemaking, plus an overall editor’s award. While the planning categories reward excellence in planning practice, the placemaking categories celebrate outstanding work in regeneration, economic development, urban design, sustainable development and community development as well as planning. Winners were chosen by an expert panel of 25 senior figures from across the sector. 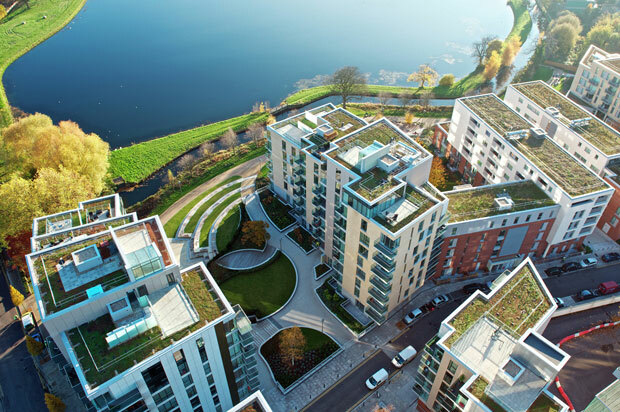 Woodberry Down is one of London’s largest regeneration projects in London, with 5,500 homes planned over a 20-year period, with 41 per cent of these proposed to be affordable. More than 1400 homes have been delivered so far. Judges praised the physical and environmental benefits of the scheme, as well as the high level of affordable housing. One described the scheme as "designed to ensure maximum benefit to the surrounding area". Another said: "This is excellent creation of a new community in a very modern setting with superb facilities and an impressive focus on social cohesion." Public-private joint venture H20 Urban needed a testbed for its custom build homes concept, which provides buyers with flexibility over their properties’ design and internal layout. The Aldcliffe Yard site, located in a Lancaster conservation area next to the canal, provided the opportunity required. H20 Urban secured planning permission, installed infrastructure, and developed 14 family homes - a mix of custom-built houses and refurbished grade II-listed historic stone buildings. Judges described the project as an "exemplar approach to development in a conservation area" and a "high quality, low cost solution to housing provision". When the Westway Trust charity consulted on plans for Portobello, local residents called for arts and culture to be placed at the heart of the development. The scheme, located below the Westway flyover in west London, is intended to provide workspace, affordable housing, a market hall, and shops, and features a new 5,000 square metre arts and culture hub in which local people can create and exhibit work. Judges were impressed by this "exemplar" approach to placemaking and regeneration through the "use of arts and culture". In 2012, Wedgwood’s factory was in dire need of investment. The ceramics company secured the support of Stoke-on-Trent City Council for a mixed-use development including a new company headquarters building, a revamped World of Wedgwood tourism attraction, 209 homes, and improvements to the 46-hectare estate. Extensive pre-application discussions between the company and the council meant the scheme went to the authority’s planning committee just four months after submission. Judges praised this "diverse public-private partnership" for managing to overcome the obstacle of the site’s green belt location to produce a "great outcome" for the area. In its former life, Battersea Power Station employed just over 1,000 men and women. Once the site’s ongoing redevelopment is completed, the developers expect it to provide work for 20 times that number of people, bringing to an end more than 30 years of dereliction. Phase two of the project involves refurbishing the grade II-listed power station itself, providing 10,000 square metres of office space, plus shops, cinemas, conference space, restaurants and cafes. Judges described the scheme as an "iconic" and "unique" project that is being delivered in "very challenging" circumstances, but predicted that it will produce a "great outcome for London". A public-private partnership between developer U + I and the London Borough of Lewisham has seen Deptford transformed. The Deptford Project involved redeveloping a formerly derelict council-owned site next to the train station to provide 132 homes, 1,300 square metres of commercial space for local traders, and new public realm. The residential part of the scheme was completed in March last year and the shops, situated within grade II-listed railway arches, were finished in October. Judges said that despite being a "difficult" project, it represented an "excellent example of placemaking". They also observed "great local benefits and a happy community". Liverpool’s Chinatown has a long history. But over the years, a cycle has emerged of poor -quality development followed by demolition, according to BLOK Architecture. To address this, the firm’s proposals for New Chinatown are intended to create a district with a sense of place on a par with other Chinatowns in New York, London, and San Francisco. Plans include a 131-bed hotel, 790 homes, and more than 10,000 square metres of commercial space. Judges praised the proposed scheme as "hugely innovative" and "inspiring", also describing it as "big, bold and transformational, but rooted in the community". The Sussex branch of the Campaign to Protect Rural England (CPRE) wanted to know what local communities believed to be good design - and how this could feed into the neighbourhood planning process. The Making Places project asked participants to identify what parts of their local area they valued and where improvements could be made. Outcomes include a ‘roadmap’ for other town and parish councils wishing to replicate this work. Judges said the initiative would "help communities secure tangible local benefits from developments in their area". A formerly derelict grade II-listed tram depot in Cardiff is now home to a new arts and music centre. 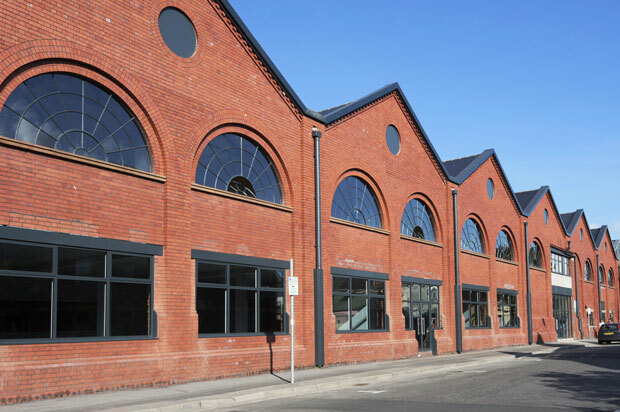 The Tramshed includes a 1,000-capacity performance venue, 30 combined living and working accommodation units, a cinema, flexible office space, and other community facilities. Original features such as roof trusses and windows have been retained, while the new materials used were chosen to contrast with the original building while reflecting its industrial heritage. Judges praised the "really impressive handling of a difficult building". They described the development as "an iconic addition to Cardiff" and a "place-making jewel" in the city’s "crown". 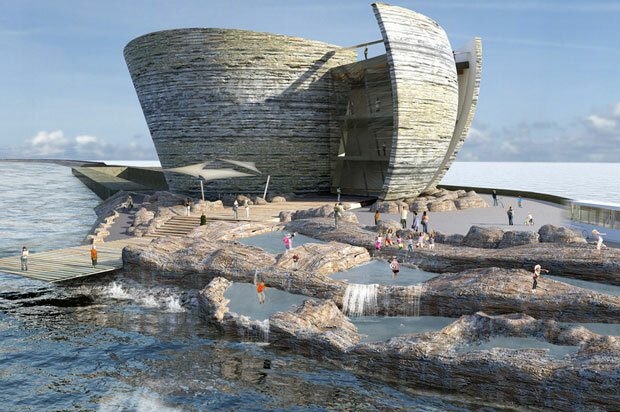 Swansea Bay Tidal Lagoon proposes combining the world’s first tidal lagoon hydroelectric power plant with improved public access to a section of the city’s waterfront. Not only would the completed scheme provide power for up to 155,000 homes, the development would form a new flood defence structure for Swansea Bay. In addition, sustainable principles features such as passive design, heat recovery systems and water-saving mechanisms have been adopted for all buildings at the site. Judges said the scheme was a "groundbreaking innovative project that has fully embraced the objectives of sustainability at every stage" and a "bold attempt at transformation, with strong sustainable development goals". Architect Pilbrow & Partners was appointed to design the fifth phase of regeneration at the University College London Hospitals main campus, a specialist facility for ear, nose, and throat medicine. The site lies at the heart of the Bloomsbury Conservation Area. The firm inverted traditional hospital design by placing the waiting areas on the exterior street facade within a range of bay windows, with perforated brick screens providing privacy. Judges praised the "innovative design" that relocates the "public and waiting areas" to the building’s exterior and "uses natural light to great effect". They described the project as "a game changer for hospital design". The Caledonian Road project sits within one of the most densely-populated areas of London. Currently occupied by a mix of low-grade office, warehouse and storage space, planning permission was secured in August 2016 for a comprehensive redevelopment. The completed scheme would provide 252 new homes, 8,300 square metres of employment space, including affordable workspace aimed at local start-ups, and an extension to an adjacent Methodist church. Judges noted the "good mix of uses" in a "challenging area of London" and appreciated the "high levels of affordable housing and retention of affordable working space". The Finningley and Rossington Regeneration Route spans just 3.4 miles but has brought about a host of regeneration benefits. The first phase, which opened in February 2016, links the M18 to Doncaster Sheffield Airport and has opened up the former mining village of Rossington to economic opportunities in the Sheffield City Region. Projects unlocked as a result include the planned expansion of the airport, a proposed 560,000 square metre warehouse at Doncaster iPort, and a proposed 1,200-home urban extension at the former Rossington colliery. Judges remarked that the project has had a "transformational effect on the local economy" and will "bring much needed benefits to an area in need of investment and regeneration". Regeneration of the 26 hectare Woodberry Down estate began in 2009, a joint effort between the London Borough of Hackney, developer Berkeley Homes, Genesis Housing Association and the Greater London Authority. More than 5,500 homes are to be delivered over 20 years, of which 41 per cent are planned to be affordable. Judges praised the "good mix of tenures" - of the 1,443 homes built to date, 530 have been for social rent and 206 for shared ownership. Overall, the panel concluded that the scheme "should provide a positive benefit both physically and environmentally for years to come". Waltham Forest’s Mini Holland initiative comprised a series of neighbourhood schemes aimed at improving highways by reducing traffic levels and creating public spaces. Online surveys were taken and pop-up events and community meetings held for each scheme. The data collected was displayed online and used to inform the design process. Judges praised this "great use of new technology with real-time data collection". With more than 25,000 people consulted sharing their views, the panel noted an "impressive number of people involved in shaping their neighbourhoods", describing the project as "the future of engagement". The East Riding Local Plan sets a target of building 23,800 homes by 2029 and replaces four previous district local plans and a county-wide structure plan. But planners preparing the blueprint faced a series of challenges, including the size of the area, which spans 930 square miles, and the mix of coastal, rural, town, port and city environments. 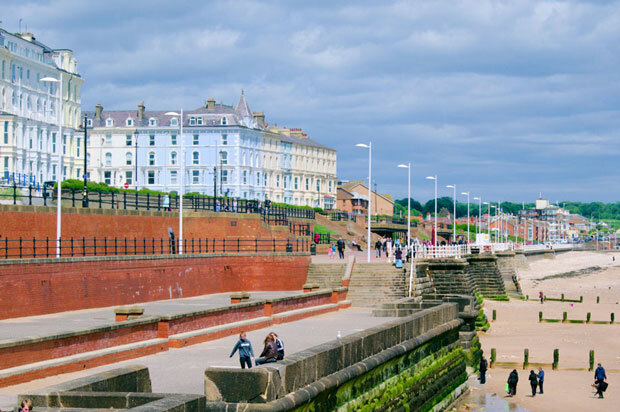 Policies were developed for six sub-areas to address specific local characteristics and challenges, while agreement was reached with neighbouring Hull City Council to manage growth across a shared housing market area. More than 1,100 members of the public attended events and 20,000 consultation responses were received. Judges described the document as a "successful local plan in a very complex set of circumstances" and praised it for its "good public engagement". They also said the plan-making team "demonstrably reached out to stakeholders to try and address issues and deliver developments". Prescot in Merseyside sits within one of the country's most deprived local authority areas. Consultancies Peter Brett Associates and Environmental Associates were appointed to develop a town centre masterplan to address the loss of national retailers, lack of private sector investment, and increased competition from other locations. The masterplan aims to diversify the local economy, regenerate the physical environment and better meet the needs of the local community. It includes proposals for new town centre leisure, retail and residential developments plus improvements to the public realm and accessibility. A new theatre has already been granted planning permission and secured central government funding. Judges said this was an "ambitious and significant project that encapsulates a strong sense of place," adding: "it has significant community support and its early implementation bodes well." The St Ives Neighbourhood Plan is the first in the UK to prohibit new dwellings from being used as second homes and was supported by 83 per cent of residents who voted in a referendum. Cornerstone Barristers acted for Cornwall Council in the High Court last year to successfully defend the plan from a developer’s legal challenge. Judges said this "landmark" plan "changes the rules of the game" and would have a lasting impact on local people’s ability to remain in the town" They also said it "demonstrates the power and potential of neighbourhood plans". According to developer Tidal Lagoon Power, this offshore scheme, which forms a U-shaped breakwater in Swansea Bay, would be the world's first purpose-built tidal energy lagoon. The proposed lagoon received development consent from the government in July 2015 and aims to generate enough power for 155,000 homes. It would also provide a new park with a sailing centre and beach and reclaim seafront that had previously been inaccessible for over a century. Judges described the project as "a good example of integrating strategic infrastructure with place-shaping" and praised the "innovative approach to large-scale renewable energy". NJL Consulting secured permission for a second phase of this major regeneration project on behalf of developer Peel Holdings. The second phase plans propose 1,900 new apartments, 50,000 square metres of offices, and retail and leisure space. NJL Consulting’s planning strategy involved submitting multiple applications to gain consent for 11 separate development plots. The project required a close working relationship between the developer and Salford City Council. This involved a planning performance agreement that resulted in a planning decision being issued just three months after submission. 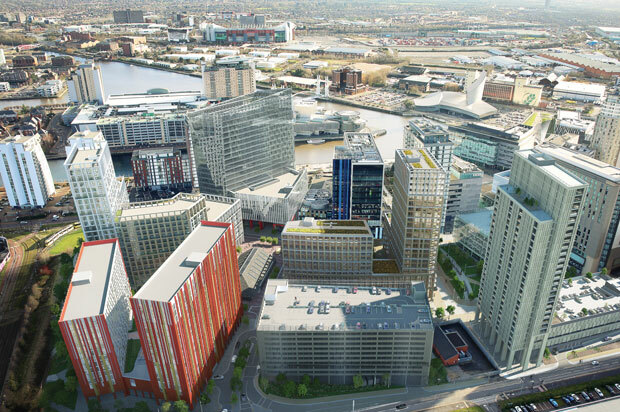 Judges noted this "strong partnership working", describing the scheme as "development on a grand scale that will continue the large-scale regeneration of Salford Quays". Norton Rose Fulbright advised London City Airport on its expansion plans, comprising a passenger terminal extension, additional aircraft stands, and a new taxiway. A planning application was made to Newham Council in July 2013. The authority’s support was secured after 18 months of negotiations, only for the application to be rejected by the mayor of London. After another 15 months, and two public inquiries - one concerning the planning permission refusal and another for a compulsory purchase order for the land – consent was finally secured from the government, which overturned the mayor’s decision. Judges praised the team’s "level of complex legal work" approach in a "very challenging political context". Consultancy HTA Design focuses much of its work on supporting London boroughs with their housing delivery programmes and regeneration projects. However, it was the company’s "commitment to community" that caught the eye of the judges - and its willingness to take on non-fee earning community projects. These include securing permission for a play structure and performance space at an adventure playground in Haringey, north London, and for an arts facility in a listed building in Lewisham, in the south of the capital. Judges said the firm "consistently included a strong community approach" and "demonstrated clearly how they brought value" to the range of projects they worked on. The City of London’s planning team deals with some of the largest development schemes in the country. But it’s not just size that matters. In the last two years, the team has secured more than 12,500 off-street cycle spaces through planning obligations. New uses have been sought for historic buildings. Archaeological sites, such as the Roman Temple of Mithras at the new Bloomberg headquarters, have been protected. Judges praised the team for its "exceptional work in an exceptional area, which must be the envy of local planning authorities elsewhere". They also described it as "a high-performing local planning authority delivering quality development at scale". The Editor’s Award is given to the Planning Award-winner considered most impressive of all. This year, the prize was given to a local plan that the judges found to have grappled impressively with two challenges facing many planning authorities around the country. Firstly, the East Riding Local Plan, which was adopted in 2016, included an approach to managing housing growth agreed with its neighbour, Hull City Council. The plan’s inspector said it was "a clear example of close co-operation of the kind sought by the duty to co-operate and encouraged in national policy". Secondly, in the words of the judges, the plan has "evidently been very successful in driving delivery", something that the new housing delivery test will make an even more pressing priority for planning authorities. According to the submission, more than half of the plan’s housing sites are either under construction, have permission or are subject to an application that awaits determination. There were other aspects that impressed the judges. They said its success was partly due to the way in which the council had "built internal expertise". This allowed it to bring in-house major tasks such as its Strategic Housing Market Assessment, saving money. The judges also praised the plan, which saw a big drop in objections at the submission stage, as "successful in reaching out and engaging local residents". Overall, it provides a useful case study for planners elsewhere in the country, and richly deserves the Editor’s Award. Last chance to enter this year's Planning Awards!